Grab my FREE workouts here. Reserve a spot for a Healthstyle review here. It can hold us back from getting what we want. When it comes to food guilt, it can be overwhelming. Guilt is created when we feel like we have caused harm to ourselves or someone else. 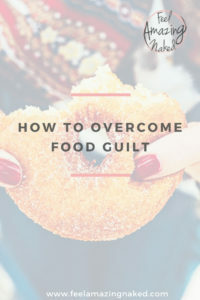 I believe that guilt really comes from a place of fear; a fear of not being good enough, gaining weight, etc. When we gain control of our emotions, like guilt, we are more in control of our lives and of our health choices. 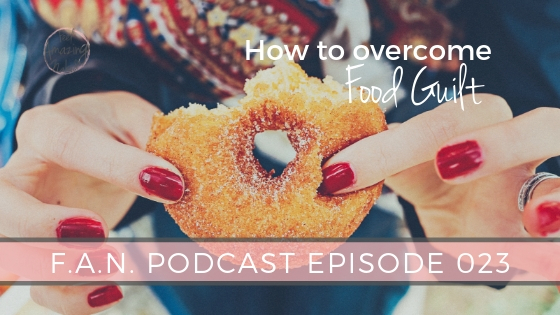 -The overindulge/restrict cycle that many women fall victim to.